Here describes an example of treatment of cat named Gandalf at the age of 11 months. The diagnosis was based on clinical signs: salivation; fever; thirst; difficulty when eating; redness of the mucous membrane of the mouth; gums dark red; bleeding ulcers; out of his mouth comes a heavy, unpleasant smell. Camomile for rinsing the mouth two times per day for 7 days; For an infusion of chamomile 1 bag of chamomile flowers poured into 1 liter of water, boil for 5 minutes, then Let cool and filter. Soda solution for rinsing the mouth two times per day for 7 days. To prepare soda solution for rinsing the mouth, we took one teaspoon of baking soda to one cup of warm boiled water. Day 1. Cat Gandalf body's the temperature has risen to 41,2 C, was felt bad odor from mouth, excessive salivation, mouth was bright red. The cat became passive and stopped eating. Day 2. The body temperature of a cat Gandalf remained unchanged. The oral ulcers have been observed, they was bleeding in case of damage, also increased secretion of saliva, and was felt the same odor. The food is still not accepted, fed from a syringe of liquid food. Day 3. Temperature of cat's body dropped to 39 C. The cat became more playful, but food is still not touched. The secretion of saliva remained the same, ulcers did not diminish, the smell was present, redness of the gums was noted. Day 4. 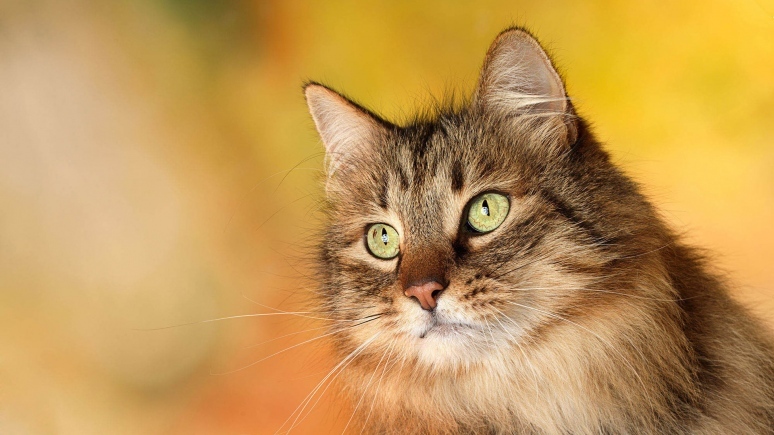 Temperature of cat's body is normal, became less intense salivation, ulcers decreased in quantity. Day 5. The ulcers in the mouth almost disappeared, did not feel an unpleasant odor, saliva secretion is stopped. Cat for the first time asked for food these days. Day 6. All clinical symptoms of stomatitis disappeared completely. Gandalf felt great, do not notice a discomfort. For preventing continued rinsing the oral cavity. Day 7: The last day of preventive measures. Gandalf recovered. Thus, the combined application of folk and immunostimulatory agents provide a quick and positive results.